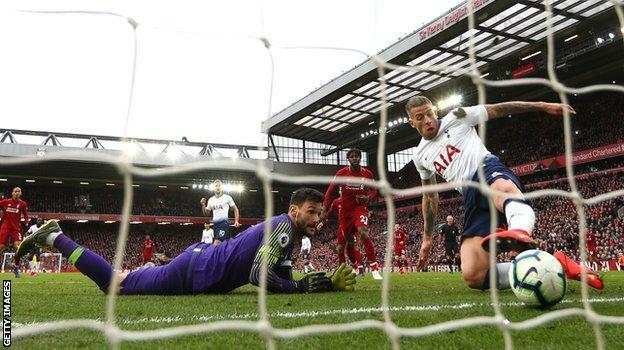 Hugo Lloris made another very costly error against Liverpool on Sunday, and it feels like he has let Tottenham down too many times. Spurs boss Mauricio Pochettino can be so proud of his side, because they dominated the second half at Anfield and they should have won the game. Instead they lost, because Lloris had a shocker when he tried to deal with Mohamed Salah’s header. It was just not acceptable and in the situation Spurs are in, chasing a top-four place, they needed better from their captain. 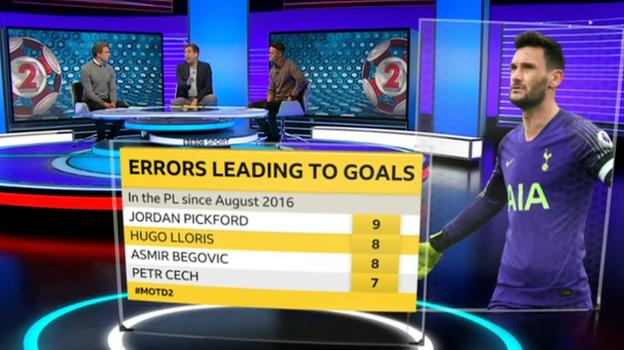 You cannot legislate for mistakes like that from your goalkeeper, but Lloris has been making them for a couple of seasons now. What is in the 32-year-old’s favour is that he is still making some world class saves – away at Borussia Dortmund at the start of March, for example, when I don’t think Spurs would have got through that Champions League tie without some of the early stops he made. But unfortunately the top goalkeepers are judged on consistency and being solid, so the rest of the team can look behind them and think “we are going to be fine”. Liverpool or Man City – who will win title? As we saw against Liverpool, Lloris is not providing that kind of security at the moment. If Spurs want to kick on, and have any aspirations of challenging for the league or winning major trophies, then it is a position they need to start looking at. Time to be ruthless – and bring Gazzaniga in? I have been in a similar situation as a player where I had to look at myself because I knew I was playing well below my own standards, and that is what I am judging Lloris against here. Lloris has been at Spurs since 2012, and he has been brilliant at times. We are talking about someone who won the World Cup with France last summer, who is skipper of his club and country. He should be at the peak of his powers right now but he actually looks more nervous now than he did when he arrived from Lyon seven years ago. When people talk about the best keepers in the world, his name always comes up – but I just don’t feel like his performances over the past couple of seasons for Spurs reflect that status, unfortunately. Lloris seems to have a reputation based on what he has done in the past that is bigger and better than his current level, and that is a difficult scenario for his manager to deal with. But I don’t think Pochettino will be afraid of dropping Lloris, and what might make it easier for him is having Paulo Gazzaniga as his back-up. Gazzaniga has played a few games for Spurs this season – 10 in total in all competitions – and has been brilliant every time I’ve seen him. He is probably thinking “it is time for me to get my opportunity” and I think he should do. As ruthless as it sounds, if I was Pochettino I would seriously be considering starting the Argentina international in Wednesday’s game against Crystal Palace. I know it is a huge occasion because it is Tottenham’s first game at their new stadium, and it is one Lloris will no doubt feel he should be a part of. But Tottenham’s priority now is not about sentiment or any of their players’ personal feelings. All that matters is finishing in the top four, because getting Champions League football next season is so important for the club’s future. 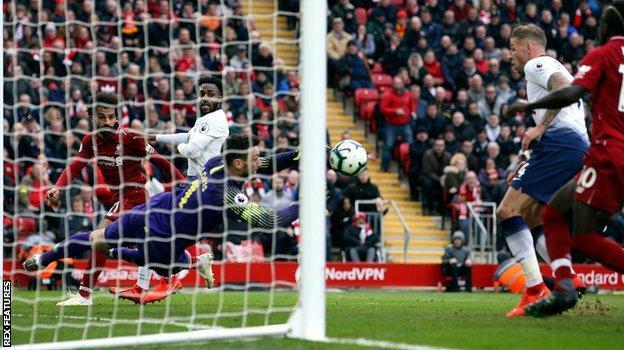 Against Liverpool you could clearly see the disconnect between Lloris and his defence – they seem to be worried about when he is going to make his next error too. 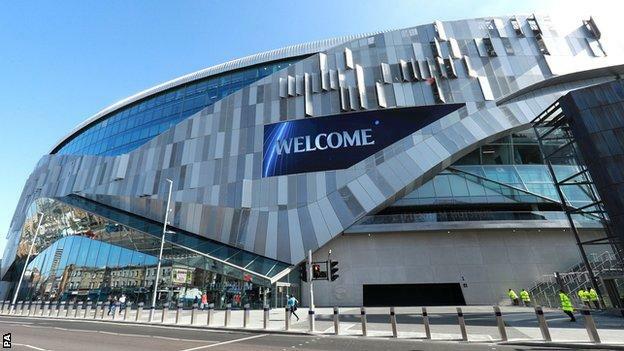 It is a big week for Spurs, with their move to their new home finally happening, but I don’t think this result or their poor run of results has taken the shine off it. If anything, it provides the lift that the club needs right now. The fans and players are sick of waiting, but the wait is over. Instead of thinking “we have got to go to Wembley again”, and play Palace in front of a half-empty stadium, they know the new place will be absolutely rocking on Wednesday. It will be the perfect way to get over the disappointment of the weekend. And let’s remember, although the way Spurs lost Sunday’s game was a sickener, it was not a bad performance by them – quite the opposite in fact, in the second half anyway. If they can repeat that display, then I fully expect them to beat Palace. As Pochettino says, Spurs are now in a mini-league, fighting for a top four place, with seven games to go. 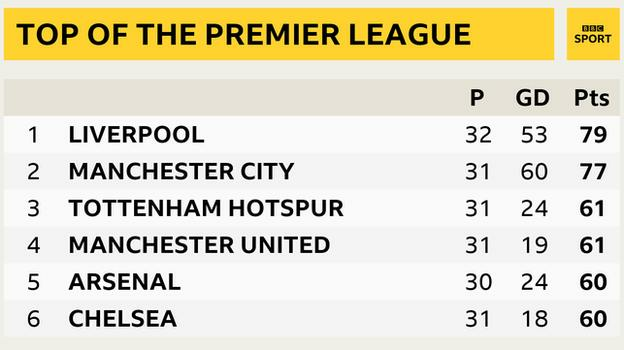 I said on Match of the Day a couple of weeks ago that I did not see Spurs making the top four, and although they were much improved against Liverpool, things are obviously very tight now and it depends what the other teams do. A few weeks ago, it looked like Spurs had third place sewn up. It is their own fault that they are in this situation, because of their poor form, but they are in a position that I kind of envisaged for them at the start of the season. People may say they have thrown it away, but when you factor in that they have not signed anyone for a year and have also been playing at Wembley, they actually deserve some credit for being where they are.